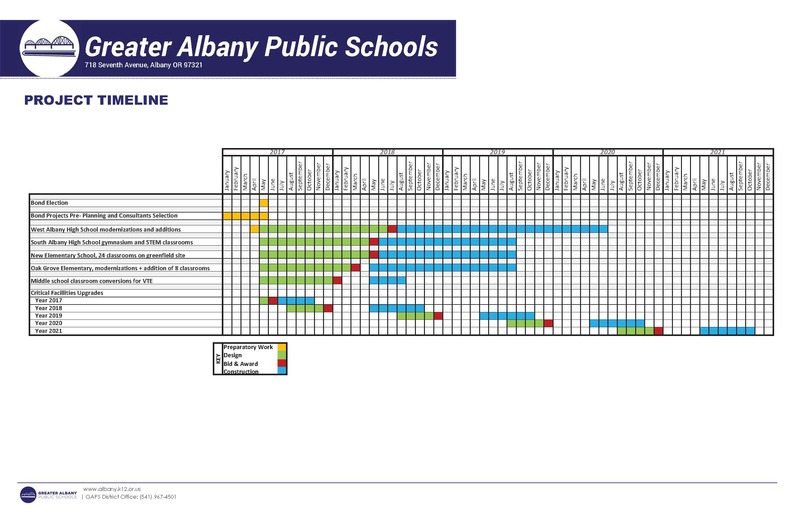 Bond project timelines were discussed during the last School Board meeting on May 18. 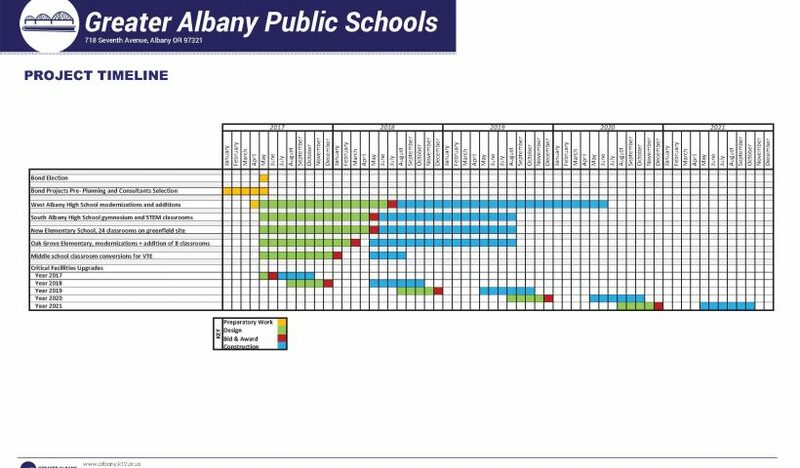 The plan is to open three of the four new construction projects by start of school in fall 2019: new elementary school, rebuild of Oak Grove Elementary School, vocational space/gym at South Albany High school. Phase 1 of West Albany High School is scheduled to be completed in summer 2020. See the draft project timeline for more information. We will provide updates during the planning process on the bond information section of the website.